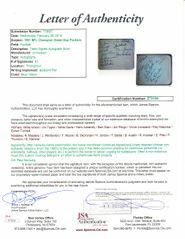 Vintage 5x6 inch autograph album signed on five pages by the 1961 Green Bay Packers NFL Championship team, with 45 total signatures, 44 of which were authenticated by JSA with their Letter of Authenticity. The Hall of Famers include: Willie Wood, Jim Taylor, Willie Davis, Herb Adderley, Bart Starr, Jim Ringo, Vince Lombardi, Ray Nitschke and Emlen Tunnell. Paul Hornung's autograph was judged to be a non authentic clubhouse signature. 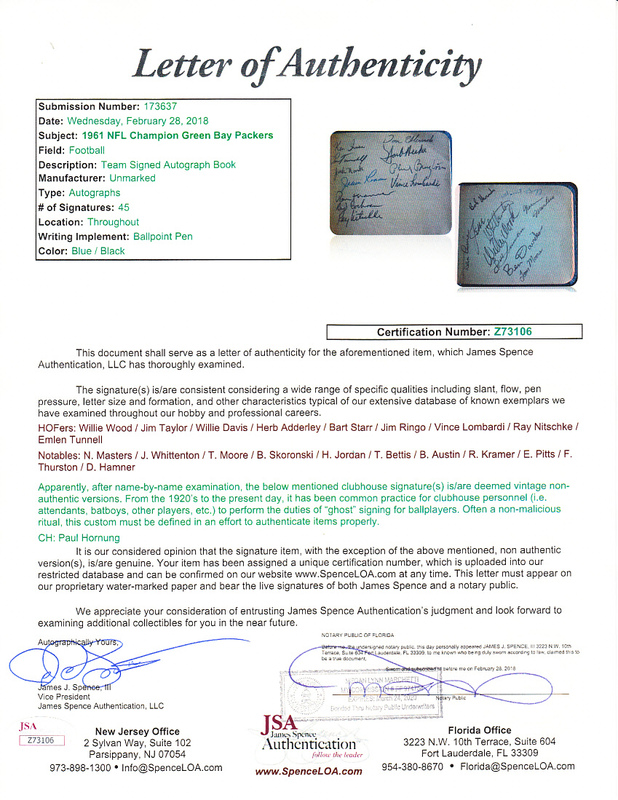 With the exception of three signatures (Starr, Ringo and offensive line coach Bill Austin) the rest are on single sided album pages. 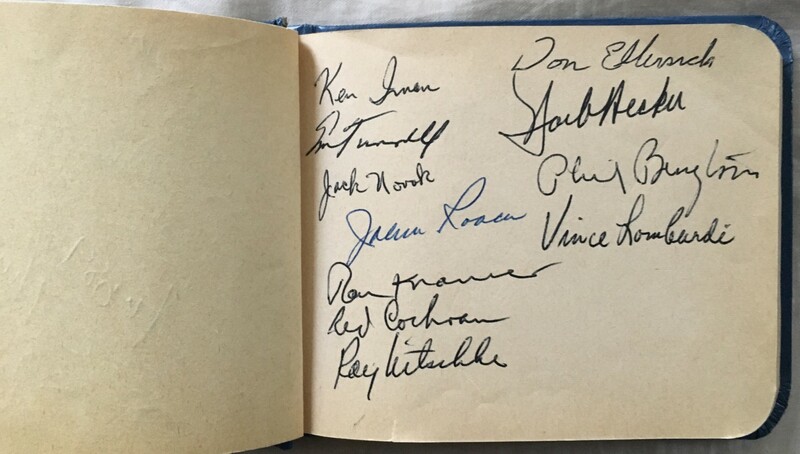 None of the other pages have any signatures or writing. 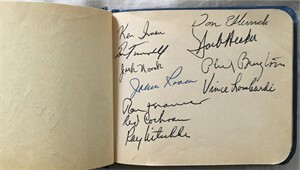 Overall the album is in excellent condition for its age with typical age yellowing (the This book belongs to" page is written in ballpoint with the original owner's name and address). This is obviously a unique piece of football history.